But it is really rare situation. Then at our discretion we will decide the next course of action. Be aware that each model of vehicle may have a choice of few different part options. Such variations can apply due to upgrade designs on later chassis numbers, or the manufacturers using different OEM suppliers during production process. Toyota Aygo 1.0. 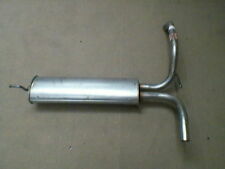 CITROEN C1 1.0 silencer muffler exhaust silencer. 1x rear silencer Mounting Kit. Citroën C1 1.0. PEUGEOT 107 1.0. Einbauposition Unten. Einbauposition Hinten. Oberflächenbeschaffenheit Aluminierter Auspuffstahl. Part Manufacturer:FEBI BILSTEIN FE30822. 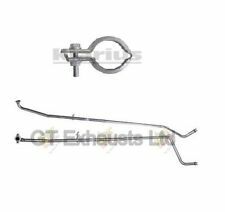 Citroen C1 exhaust hanger; Peugeot 107 1.0, 1.4HDi 06.05-. BODY STYLE. The faster, safer way to send money. TOYOTA YARIS (_P9_) HATCHBACK 1.4 D-4D (NLP90_) 90 HP 1ND-TV 2005.08-. 1726XY REAR SILENCER PEUGEOT 107 < span class = notranslate ' > B 5 m 1.0 50KW (2006) PARTS USED. Year: 2006. Being the parts used may have slight signs of wear and tear. MPN 1730JF. Being the parts used may have slight signs of wear and tear. Engine code (located at point P5 of the booklet): 1KR. Year: 2009. 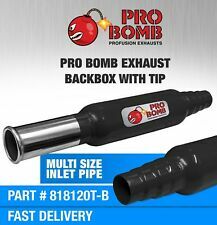 Product range: Exhaust/muffler tailpipe. Power: benzina. BLUE PRINT silencer. Auto parts vehicle selection model type / key number / KBA number. Due to the enormous variety of parts the factory installed parts, it is technically not possible to bring any vehicle specification in our vehicle Association. 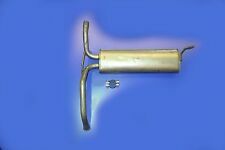 00001730H0 REAR SILENCER MUFFLER PEUGEOT 107 < span class = notranslate ' > 1.0 B 3 p 5 m 50KW (2007) PARTS USED. Being the parts used may have slight signs of wear and tear. Engine code (located at point P5 of the booklet): 1KR. Part Manufacturer:BOSAL BOS135-721. 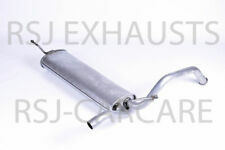 Rear exhaust muffler rear CITROEN C1; PEUGEOT 107; TOYOTA AYGO HATCHBACK 1.0 06.05-. BODY STYLE. The faster, safer way to send money. TOYOTA AYGO (_B1_) HATCHBACK 1.0 (KGB10_) 68 HP 1KR-FE 2005.07-.